Every dog owner should be prepared to spend a fair amount of money on their pet. However, your dog shouldn’t be putting you in debt. 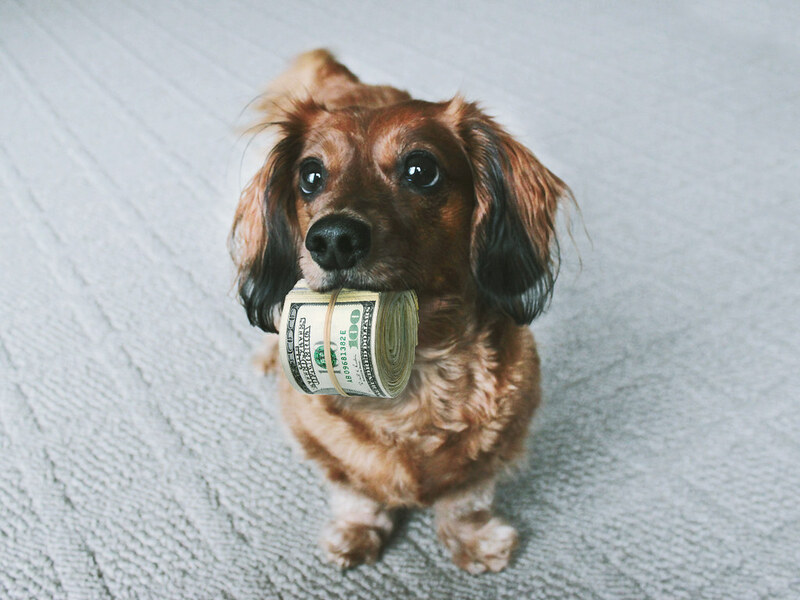 If you want to spend less on your canine companion whilst still giving it all the things it needs, here are just a few tricks that will help you save money. By paying small amounts each month, you can help pay for expensive veterinary treatment that your pooch may need. In most cases, pet insurance is worth taking out. The exception might be if you’re taking out insurance for older pet – rates are likely to be very high due to the added risk of needing treatment, so you may end up spending a lot more than you need. Taking out a fixed insurance when your dog is young is the best approach. Certain breeds such as Labradors, pugs and boxers can have more expensive rates due to being more at risk of certain conditions, but pet insurance could still be worthwhile. Shop around providers to get the best rate using sites like GoCompare.com. Don’t believe people who claim that premium expensive dog food is the healthiest. There are some budget brands out that are healthy as detailed at DogsByNina.com – you just need to be prepared to shop around for them. You can save money on dry food by buying it in bulk and by buying online instead of at physical pet stores. Many people pay a professional to groom their dog, but this is always necessary. Basic grooming such as washing your dog, brushing its fur and cleaning its teeth can be done yourself. You can also find online tutorials to help with grooming processes like cleaning ears and trimming claws. You may need to buy certain tools, but even afterwards you’ll spend a lot less. If your dog is forever shredding new toys, why not consider making your own dog toys? If you’ve got some t-shirts you no longer wear, you can turn these into a rope toy by twisting them and tying them together. Towels and jeans can also be used this way. You can also turn an empty plastic bottle into a fun toy by putting a treat in it. You can find more DIY dog toy ideas at Care.com. Keeping your dog active can also save you money. Long walks can keep your dog’s weight healthy which can prevent costly vet bills as the result of conditions such as diabetes and arthritis. Walks can also help to naturally trim your dog’s claws. Certain dog breeds need more exercise than others – the likes of German Shepherds need long walks to help burn up their energy, whilst many small dogs like chihuahuas only need a small walk. Playing with your dog in your garden generally isn’t enough – walks can help keep your dog mentally stimulated too by introducing them to a new environment with new smells and sights. Why Are My Dog’s Eyes Red And Sore Looking?